Science Fiction World, based in Chengdu, China, would like to translate my story “A Sweet Calling” (Clarkesworld Magazine) into Chinese for their October 2012 issue. This would be my first story to appear in Chinese. Coincidentally, the story itself is set in old Chengdu. Looking forward to it! Alcatraz in the background. 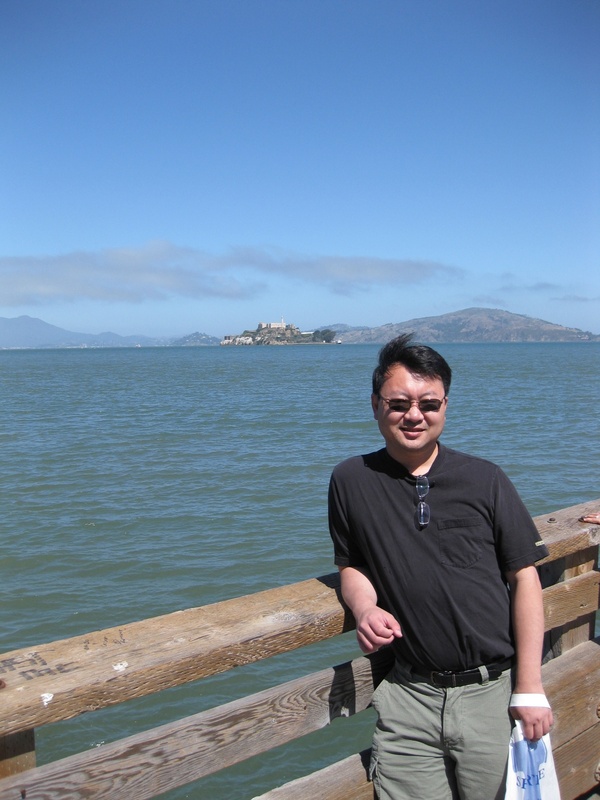 I actually missed visiting Alcatraz in SF because the tickets were sold out for at least another week. Ugh. But had great ramen at Tanpopo in Japantown, saw relatives, and rode the cable car. 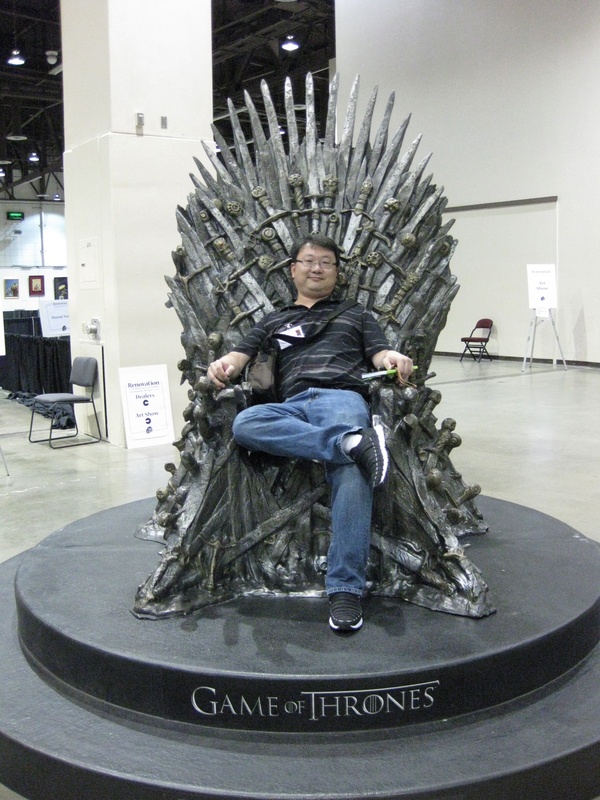 Me, on the Throne of Swords at Renovation (WorldCon). I didn’t do any panels but did participate in the Clarkesworld authors reading and the Edge Books book launch (reading from my story in Tesseracts 15). 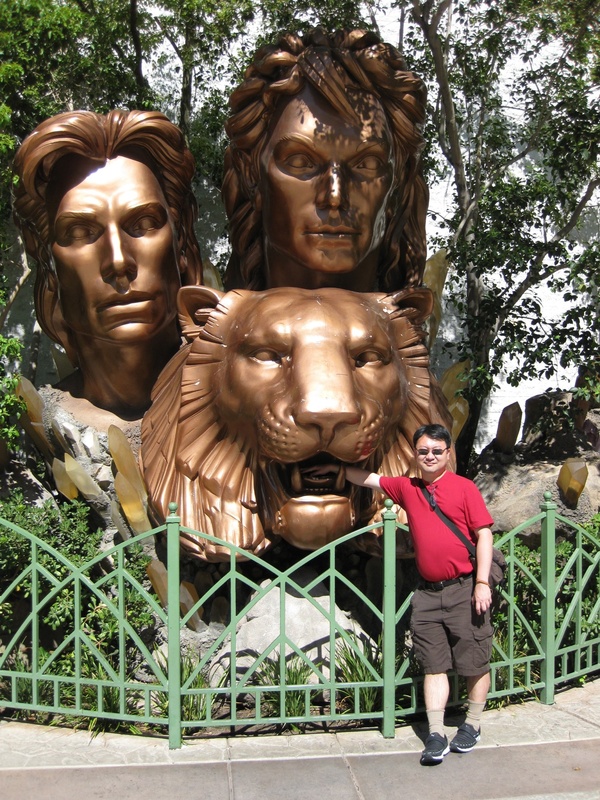 Vegas was terrific, as always. It costs an arm and a leg but is totally worth it. I finally saw Cirque du Soleil’s O, and it was stunning. A candy vendor with the ability to use his candies as avatars and who can use his ability to create elementals faces off against a dangerous foe. A very well developed and compelling magic system based around the Chinese Zodiac. Check out his full review. “A Sweet Calling” in Clarkesworld #44 is my tribute to the vanishing art of candy blowing, which has been seen in the streets of China since the Tang Dynasty.